What is Equine Assisted Therapy and Learning (E.A.T./E.A.L.)? E.A.T./E.A.L. is an innovative and creative modality for addressing a wide range of therapeutic and emotional needs. 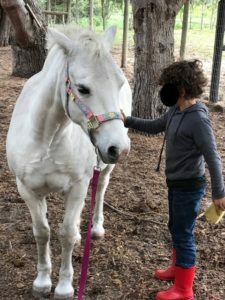 It is a short-term, collaborative effort between a mental health professional and a horse professional, which assists clients in their personal journey of growth and development. This modality engages with concepts from Gestalt and Experiential therapies whereby the importance of body language and metaphors become the basic tool to develop client empowerment. By interacting with horses, participants will engage in ground-based activities (no horse riding is involved), which will create an opportunity for clients to compare their experiences with the horses and the activities to their real life experiences. Horses have a variety of characteristics similar to humans and they respond to non-verbal behaviour of the human interacting with them. 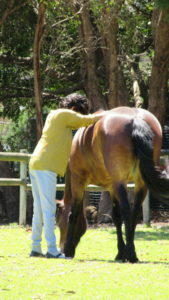 Individuals are often unaware of their behaviour until they can understand it in the way the horse reflects it back to them. This metaphorical process is self-reflective and powerful, encouraging clients to develop insight and supporting the identification and expression of thoughts, behaviours and emotions. It is the stories which emerge from these metaphors that enable our programmes to have a lasting impact and enable the client to take what they learn in the arena back to their lives. The holistic process engages clients on a physical, mental and emotional level all at the same time. As humans we remember 20% of what we hear, 50% of what we see, and 80% of what we do; thus our actions are the reasons experiential learning is so effective. Horses are herd and prey animals and as such are highly attuned to changes in non-verbal communication in order to maintain the safety of the herd. They respond to the boundaries of those they are interacting with and may come closer or move away depending on what information they are receiving from that other party. They are therefore able to accurately assess the state of being of a person and communicate it non-verbally. Horses do not care who you are or what you do for a living, they only care about how you are behaving in the moment with them, which allows for unconditional acceptance and a feeling of connectedness to develop. Horses are also able to model healthy relationships, which are the basis for all successful human interactions. Horses use emotions as information, and by releasing emotions that don’t serve them, are able to live in the moment. “Horses have supported and contributed to the survival of humans more than any other animal. And today, when war, addictions, shattered families, and technological advancement all conspire to depersonalize twenty-first century humans, the horse yet again comes to our rescue.” (Hayes, T. (2015). Riding Home: the power of horses to heal. New York: St Martin’s Press, p246). As the horse and client embark on their various activities (i.e. catch and halter a horse, moving with the horse and getting the horse to move through obstacle courses or into a particular space in the arena), the horses start to non-judgmentally reflect the client’s state of being. 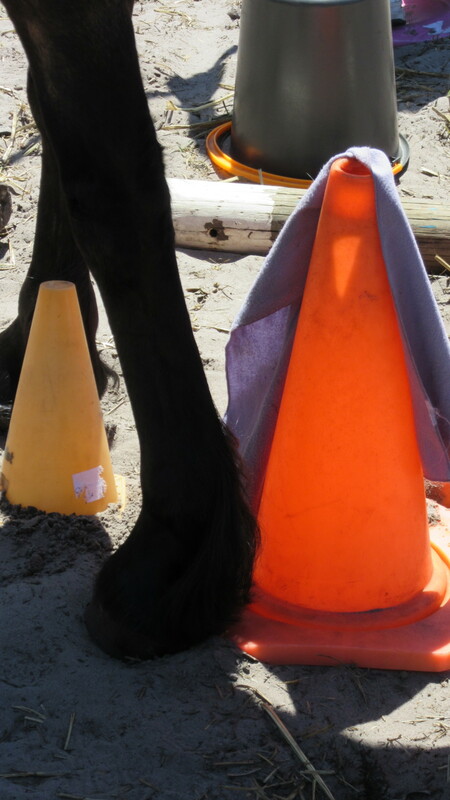 The clients are encouraged to take notice of these horse behaviours. Once the reflective nature of this connection is made, the client is able to access a visual representation of his/her reality and is then able to explore his/her perception of the world. Clients are thus empowered to choose how to manage these perceptions. Through working with horses, clients are able to develop and promote self-esteem, confidence, group cohesion, empathy, leadership, appropriate boundaries, trust and assertiveness.